The Yamaha DGX-660 is the latest ensemble digital piano to showcase a variety of interactive features that make learning, playing and sharing music fun for everyone. The new Piano Room feature of this Portable Grand lets you choose from a variety of pianos and acoustic settings to create your very own personal piano environment. 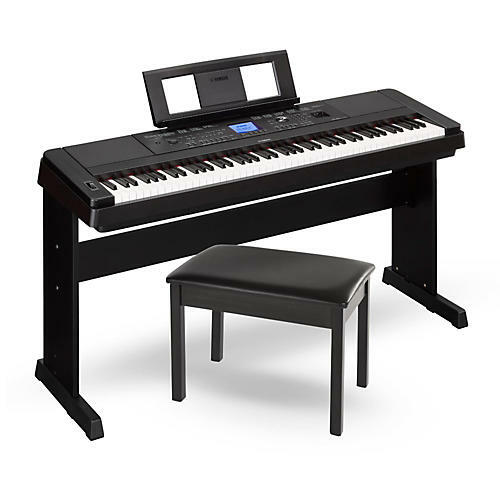 This package pairs the DGX-660 with the Yamaha BB1 padded keyboard bench for hours of playing enjoyment.